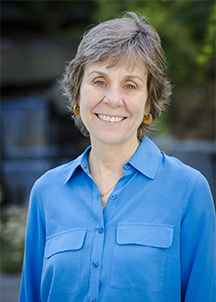 Dr. Janet Katz is currently a Professor at the Washington State University College of Nursing. She works with American Indian and Hispanic communities and youth conducting research in community based participatory research. She has over 10 years experience directing HRSA grants to increase the diversity of the nursing workforce. Dr. Katz is currently PI of a HRSA Workforce Diversity grant to increase disadvantaged, Native American and Hispanic students from rural areas in college and health science research and professions. The majority of this work has been in the regions that will be served by the current grant application. In addition, she serves as the principle investigator of a NIMHD CBPR grant that is in its third year working on substance abuse and suicide prevention for youth among the Spokane Tribe of Indians. 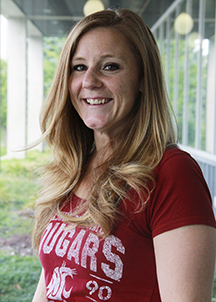 Her research has included academic-practice partnerships with Native American Tribes, specifically the Plateau Tribes of Washington, Idaho, and Oregon. Her current clinical practice includes coordinating nursing for the Na-ha-shnee Summer Institute for Native American High School students and teaching community health. Dr. Katz’s CBPR training includes attending the UCLA School of Nursing Workshop in 2008 and working with Dr. Bonnie Duran and the Indigenous Wellness Institute University of Washington for a NARCH V project in Washington State. PI Barbosa-Leiker and Dr. Katz have a psychometric manuscript under review at National League for Nursing-Nursing Education Perspectives based on our work with the Na-ha-shnee Summer Institute for Native American High School students and the HRSA Workforce Diversity grant (“Measuring American Indian Alaska Native and Hispanic Student’s Knowledge and Perceptions of College and Nursing”). Katz, J. R., Barbosa-Leiker, C., & Benavides-Vaello, S. (2016). Measuring the Success of a Pipeline Program to Increase Nursing Workforce Diversity. Journal of Professional Nursing. 32 (1) doi:10.1016/j.profnurs.2015.05.003. Katz, J. R., & Barbosa-Leiker, C. (2016). Validation of a pre post survey to measure workforce diversity pipeline intervention. Journal of Professional Nursing. 32 (1) doi:10.1016/j.profnurs.2015.05.003. Benavides-Vaello, S., Katz, J. R., Peterson, J. C., Allen, C. A., Paul, R., Andrea Charette-LaBluff, A., & Morris, P. (2014). Nursing and Health Sciences Workforce Diversity Research Using Photovoice: A College and High Student Participatory Project. Journal of Nursing Education, 53 (4) 217-22. Katz, J. R., ONeal, G., (2011). “I Don’t Know if I Can Make It” Native American Students Considering College and Career. Online Journal of Cultural Competency in Nursing and Healthcare. 1, (4), 11-24. Parés-Avila, J. A., Sobralske, M. C., & Katz, J. R. (2011). No Comprendo: The Experiences of Limited English Proficiency Latinos When Accessing the Health Care System in United States. Hispanic Health Care International. Katz, J. R., Oneal, G., Strickland, J., Doutrich, D. (2010). Retention of Native American nurses working in their communities. Journal of Transcultural Nursing, 21 (4), 393-401. Sobralske, M. Pares-Avila, J., & Katz, J. R. (2010). Patient-centered technologies and Spanish speaking Latinos: Clinical challenges. Washington State Journal of Public Health Practice, 3 (1), 58-59. Katz, J.R., Smart, D., Paul, R. (2010). Creating a path: Four years of data on Native American high school students’ perceptions of college and a career in nursing. International Journal of Nursing Education and Scholarship, 7 (1), 14p. Katz, J. (2007). Native American high school students’ perceptions of nursing. Journal of Nursing Education, 46 (6), 282-286. Katz, J. (2005). “If I Could Do It They Could Do It:” A Collective Case Study of Plateau Tribes’ Nurses. Journal of American Indian Education, 44 (2), 36-51.